Smith Thompson has carved out a nice niche in The Lone Star State…but, they aren’t for everyone. Overall, Smith Thompson reviews are pretty positive. If you have a Smith Thompson Alarm, share your experiences in our section for customer Smith Thompson Security Reviews. Smith Thompson was founded in 1978 and offers cheap home security monitoring and pest control services in Texas. They are a family owned and operated business headquartered in Plano, Texas that has installed over 100,000 systems since their inception by offering low cost, $16.95 a month monitoring and basic equipment and installation- for a reasonable price. While the company was originally established as a home security company, they have since diversified into pest control. Potential new Smith Thompson Security buyer…. or current customer? Serious about securing your family with a new home alarm system? 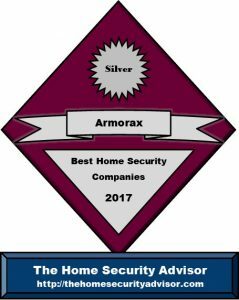 The Home Security Advisor was developed to provide you withthe information you’ll need to make educated choices concerning home security. In addition, we provide valuable tips on how you can provide protection to your property as well as family members. Besides in depth research as well as summary ratings, you can find a place for real user reviews, product comparisons with leading suppliers, together with Frequently Asked Questions …along with guidelines for blocking false alarms, methods to save cash on your insurance charges and even supplemental benefits associated with owning a Smith Thompson Alarm system. To help you find out more about Smith Thompson, along with several of the other most widely used security alarm companies, take a look at handy table of contents, with “quick jump” links to help you navigate directly to the particular chapters which might be most vital to suit your needs. A good option for Texas residents looking for very basic protection. See how Smith Thompson stacks up against the competition! Smith Thompson is one of the largest privately owned security companies in Texas. The home office is located in Plano, TX and they have over 39 years’ experience protecting homes, families and small businesses in Texas. They boast an A+ BBB rating with just 13 closed BBB complaints. Of course, this is to be expected as they do not require contracts with their program…so there is little cause for complaints to be lodged with the Better Business Bureau. It should be noted that the “closed” complaints seem to go largely unresolved and seem to escalate unnecessarily. Despite having set up over 100,000 new accounts over nearly 40 years, the company has remained local to the Texas market. This can be an issue if one relocates outside of the service area. If you live outside of the state of Texas, check out our top rated national home security companies. 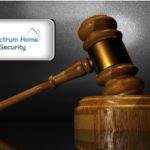 Unlike the majority of home security companies, Smith Thompson Security does not require a monitoring contract. Their monitoring is just $16.95 a month-which includes a cellular connection. This eliminates the possibility of defeating the system by cutting the phone lines. For an additional $6.99/mo. you can control the system through their proprietary app on your computer, tablet or smartphone. Smith Thompson provides their own 24/7 monitoring services. While they do meet the requirements for UL Listing, they are NOT 5 Diamond Certified . They do not have multiple, redundant monitoring centers. This means that a major local disaster, such as Hurricane Harvey could result in a loss of protection to all their accounts, regardless of where they are located, if the monitoring center were effected. Companies such as Protect America and ADT have multiple, redundant monitoring centers so that calls can easily be re-routed in a state of emergency. Like SimpliSafe, (see our SimpliSafe Reviews) Smith Thompson home security monitoring does also NOT include home automation…so if you are looking for some of the bells and whistles, you should be looking elsewhere. The basic equipment package is $299.00. If you wish to have cellular monitoring, and additional transmitter must be purchased for $89.00. This brings the start up cost up to $388.00. The system is wireless, and add on components are competitively priced. There is no touchscreen keypad available…and frankly, the system looks rather outdated. Nevertheless, if you are just looking for the most basic protection, it will do the trick. Smith Thompson has been servicing customers for almost 40 years. They are a local, family owned business that takes pride in their products and services…and has worked hard to maintain an A+ BBB service. However, they do not have a 30 or 60 day return policy, like some of the best DIY alarm companies, and customers must rely on just a 3 day right of rescission regarding the installation. Unlike ADT monitored systems, they do not offer a 6- month service guarantee or a relocation program. And, while they do offer phone support, during normal business hours, they do not offer some of the online support such as 24/7 chat support, e-mail or online account management. If you are looking for basic security with no long term commitments, they are a reasonably good choice- IF you live in Texas and don’t plan to ever leave. Because there are no contracts, the equipment must be purchased and installed at full price…so the start up costs are higher. Additionally, the equipment they use is very vanilla and somewhat antiquated. All of these are pretty much standard fare in a modern security company. If one requires more than just a basic system, or resides outside of the state of Texas…Smith Thompson is not the company for you. Please feel free to offer your comments, feedback on our Smith Thompson Reviews or share your experience with their protection services below. Smith Thompson is a DSC authorized dealer. How does Smith Thompson compare with other top rated alarm companies? Smith Thompson Security provides professionally installed security and home automation systems by DSC. You can see how they stack up in our top 5 alarm companies or in the side by side comparison summaries , below. Smith Thompson Alarm systems are only available to those who live in Texas, where as Vivint security systems are available nation-wide. Smith Thompson offers only basic security. Vivint specializes in home automation and offers more technologically advanced equipment which can be controlled from anywhere with their Vivint Sky App. Where Smith Thompson Home Security equipment must be purchase in full, up front. Vivint offers their customers a new Flexpay option to finance the equipment over 42-60 months with 0% interest. If a Vivint customer elects to purchase the equipment outright…there is no monitoring contract required! While Smith Thompson Security Reviews are overall pretty positive, if you are looking for more than just the most basic security, you may want to take a few moments to consider Vivint. 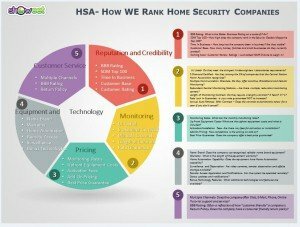 While most of the best home security companies detailed within our Top Five recommendations tend to be Do-it-Yourself Security Systems, a proportion of buyers would most likely still choose to get their home security systems set up professionally through a proven, full service home security company. Property owners that happen to be looking at Smith Thompson would, more often than not, wind up checking out ADT Security. It is likewise installed by a professional as well as monitored by the most renowned security alarm company-ADT. You will find there presently exists more than 6 million homes and businesses all over the north america equipped with ADT monitored security systems. They’ve have also been operating more than 140 years and maintain six UL Listed, 5 Diamond Certified monitoring centers manned with the best trained professionals in the business. ADT Authorized Premier Provider – Protect Your Home can adeptly deploy essentially the most reliable, state-of-the-art systems. Their experienced, well-informed and background-checked techs will ensure that all components function properly- which means you can be completely confident with the operation of the system -which is monitored through ADT – quite possibly the most highly regarded company in the industry. 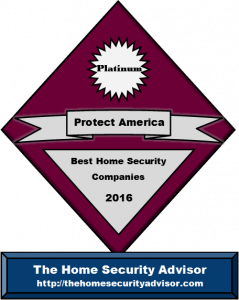 Protect America launched the Do-It-Yourself home security business model and has extensive experience in meeting the needs of the DIY wireless alarm industry while providing exceptional value and quality customer service. Protect America offers cellular, broadband and landline monitoring services….starting at a very affordable $19.99/mo. And Protect America makes security and home automation affordable for virtually anyone, with their exclusive $0 Equipment Cost pricing options. Protect America includes a ton of equipment with their premium monitoring packages, i.e. Let’s face it, for real protection, most homes are going to need more than 2 or 3 sensors…..with most companies, this will cost hundreds…even thousands of dollars. Check out Protect America , or call 888.951.5140 and see what they have to offer! 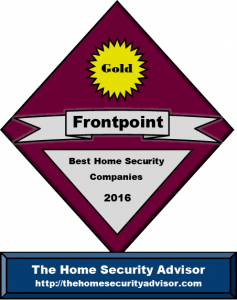 While a relatively young company , Frontpoint has gained a reputation for providing best in class customer service by maintaining an A+ BBB rating. Their pricing starts out at the same $34.99, but their all inclusive package is available for less…at $49.99. Frontpoint reviews are overwhelmingly positive. Smith Thompson Alarm Systems are set up by a qualified professional. However whether or not professional installation is important for just about any wireless home security system may be debatable. Even though some may find it simpler to just have someone else do the work…there is a lot to be said with respect to all the satisfaction and economic benefits regarding setting up a Do-it-yourself alarm system. And it’s really almost certainly easier than you may realize. Incidently, in excess of 90% of Do-it-yourself security owners characterized the system as easy to install”. A lot of our original enthusiasm for Armorax has already slipped off appreciably because the provider continues to indicate signs that it is having problems. The BBB rating has recently dropped off significantly coming from an A (at the period of our original Smith Thompson Alarm review) to a C+. Throughout our secret shopping initiatives, we have realized that even the sales team will not pick up the telephone. Incoming phone calls are generally handled utilizing a voice mail which tells them to dial 911 should this be an emergency…or to stay on the phone for the product sales department. Following 2 or 3 additional minutes on hold, you’re finally handled by an answering service which will take a name and telephone number for a return call. This makes one wonder what happens if I have a issues with my system? On top of that, Armorax has switched providers 3 x over the last twelve months. They have made from the state-of-the-art 2 Gig lineup, briefly advertised the Interlogix Simon XT, and are also now supplying the lesser known Resolution Helix panel. They also have totally changed their monitoring cost plan 3 times in the last calendar year. When it comes to online Armorax reviews, you’ll see that no two web pages show the same charges. Armorax previously offered no contract plans as well as programs together with Cost-free equipment and monitoring rates as low as $19.99/mo. Their active offer costs you $99.00 up front combined with standard monitoring starts at $34.99 and the Mobile APP is extra! Furthermore, the complete lack of online transparency does nothing to promote confidence. Presently they’ve got a 1 page site that gives little or no details about the firm qualifications, hardware, pricing, monitoring company and services, Mobile App, Set up information or even training videos …or pretty much anything other than that that a potential consumer might choose to find out. While the company exhibited good promise formerly, we’re no longer keen with regards to them as a decent alternative option to Smith Thompson security. In our view, you will find far better alternate options. The information below was included in our original Armorax vs Smith Thompson reviews – and is for comparison purposes only. Armorax features a comparable A+BBB Score. While they are a relative newcomer to they industry, they have made a name for themselves by providing state of the art equipment at rock bottom prices. The standard Armorax Blackbox system is a top of the line 2 Gig Touchscreen system , which is Free of charge when accompanied by a 36 month monitoring agreement! Interactive and home automation is available for just $5 a month more. In order to get remote arming capability, you will need to spend $6.99 extra – bringing your monthly rate up to about $24 a month. For an additional $5 bucks a month, you get full home automation, crash and smash and video monitoring. Is it essential to get an alarm permit to install a Smith Thompson Security System? Strictly speaking, you don’t need a permit generally if the system is not going to be professionally monitored. Having said that, if your burglar alarm is being remotely monitored, most local cities would require a permit. Generally, this involves very simple application with a community law enforcement or sheriff’s agency and a nominal fee. You will likely also be asked to give you the name, address and phone number of the alarm system company, in addition to monitoring station, whenever the two companies end up being different. When permits are required, the majority of municipalities will demand a 1 time cost to register an individual’s system, and some cities have to have a yearly renewal too. In towns with higher crime combined with false alarm rates, failing to register can result in a refusal to respond to places that don’t have any a security alarm permit. No matter if a permit is purchased, the vast majority of towns are likely to assess fees with respect to numerous false alarms. The majority of cities currently have regulations set up in which the 1st 1 to 2 dispatches don’t involve penalties and fees. And after which penalties and fees customarily increase from $25-50 for the 1st enforceable offense…to $100-200 for succeeding repeat infractions. As a consequence, it is essential that burglar alarm owners phone his or her own local area police department, discover what permits are expected, get a thorough knowledge of the local policy and make certain that they go ahead and take critical steps in order to prevent false alarms. Will a pet trigger my motion detector? Your motion detectors will disregard small pets under 40 pounds if they are properly positioned. If you’ve got a larger pet…request your Smith Alarm technician install detectors that can screen out pets around 80 pounds or set up a “pet alley”. And finally, you may want to consider a glass break detector as an alternative. If you have an experience owning a Smith Thompson alarm, share your experience in our section for Smith Thompson Security Reviews. 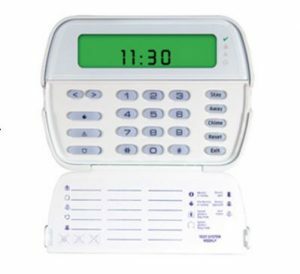 Does a Smith Thompson Alarm require a landline? A Smith Thompson alarm does not require a landline for monitoring. Though it is more expensive, cellular monitoring is optimal for Smith Thompson Home Security systems. While Smith Thompson reviews rarely address it, if the system doesn’t have cellular monitoring, it is quite simple to interfere with sending an alarm signal to the Thompson security monitoring station by simply cutting the landline. While some Smith Thompson security reviews might complain about the additional costs, many homeowners are minimizing the cost of the Smith Thompson alarm monitoring by simply getting rid of their landlines. Strategies to help you prevent Smith Thompson false alarms. Although very few Smith Thompson Reviews divulge it, the majority of dispatches by monitoring centers across the country are a result of false alarms. Consequently, most towns administer fines to alarm system owners whenever they meet or exceed a particular volume of false alarms. • Give some thought to items which might possibly trigger a motion detector. It’s not only pets ..Air conditioning units can cause fluttering draperies or plants…and helium balloons can be transported about the residence by air currents. • It’s essential to replace batteries when required. Just about all alarm systems use Li-Ion batteries which usually have at very least a two year estimated lifespan. Your Smith Thompson Alarm System will in most cases advise you if your batteries have become low- not to mention warn you when there is approximately 30 days of usable life. 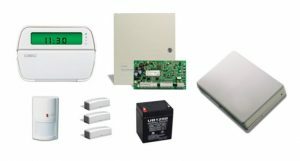 How often do I need to test my Smith and Thompson alarm system? It is recommended that you test the Smith Home Security system at least once a month. While you may not find it in your research of Smith Thompson Security reviews, it is not uncommon that some people may go months or even years without testing their Smith and Thompson system. Most people don’t realize it, but, even though the system is self-supervised, it is up to the owner to test the system periodically to ensure that the Smith Thompson Alarm is operating correctly. It is especially important to check the Smith and Thompson alarm system if there is a recent change in internet or phone system. For information on how to test your system, reach out to Smith Thompson Home Security customer support. Though the majority of us think of a security system as a burglar alarm system,home security systems can provide a more comprehensive safety, energy and home management program. However, Smith Thompson systems typically stick to the more traditional concept of basic security. Following are some of the features you can expect with a Smith Thompson system. interior sensors like motion detectors and glass break sensors to detect if entry was gained. protect your house, pets and loved ones…however your safety system will ensure that help is on the road. problems from plumbing issues into leaking roofs to flooding or wet basements. detector could be attached to the medicine cabinet and place to notify you if the cabinet weren’t opened by a particular time. base unit, and enable the user to speak directly with the monitoring system when equipped with 2 way voice communication. automatically when you arm or disarm your system. The system could be adjusted manually from your smartphone with interactive applications. • Manage Lighting- Set lights to turn on automatically when you rise in the AM…and turn away once you set the alert at night. • Control Appliances- Can you imagine being able to turn the coffee on from your bedside keypad? Or start dinner from the workplace? Now you can with Z-Wave appliance modules which can be controlled through your interactive safety system. pc, tablet computer or mobile device. the system is armed or disarmed when the kids get home from school. 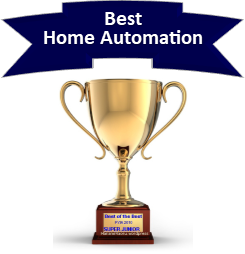 To figure out just how affordable a system with home automation might be..check out our Top Alarm Companies. If you currently own a security system from Smith Thompson, share your experience in our section for Smith Thompson Reviews. Installing a Smith Thompson alarm system is just one step towards securing your home against intruders Following are some common sense steps to protect your property from burglars. 1. When you’re going to bed at night, or stepping away from the home for a few hours, be sure that you secure all windows and doors. 2. Reinforce doors with deadbolt locks that incorporate strike plates with a minimum of 1 “ throw. 3. Reinforce sliding glass doors with a broom handle in the track to protect against intruders from forcing the door open. 4. Keep plants and hedges around the doors and windows trimmed…This makes it difficult for a burglar to hide. 5. Keep the home well lit. Exterior motion lighting is a terrific deterrent against nighttime property invasions. Whether you elect to install a security system from Smith Thompson or not…these security tips will help reduce the chances of your home becoming a crime statistic. Thank you for visiting! Please feel free to share our Smith Thompson Reviews, below …or follow us, above. If you or someone you know has experience with a Smith Thompson Security System, we hope you will share that experience in our Customer Reviews. I converted from ADT to Smith Thompson 2 months ago. It was a seamless conversion and the technician was professional and courteous. He fixed a couple of existing issues and the cost was much lower per month. I am a satisfied customer. Thanks for sharing your experience with Smith Thompson Security. 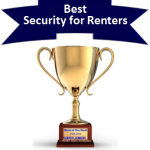 Customers can also share their experiences with formal rankings in our section for Smith Thompson Security Reviews.